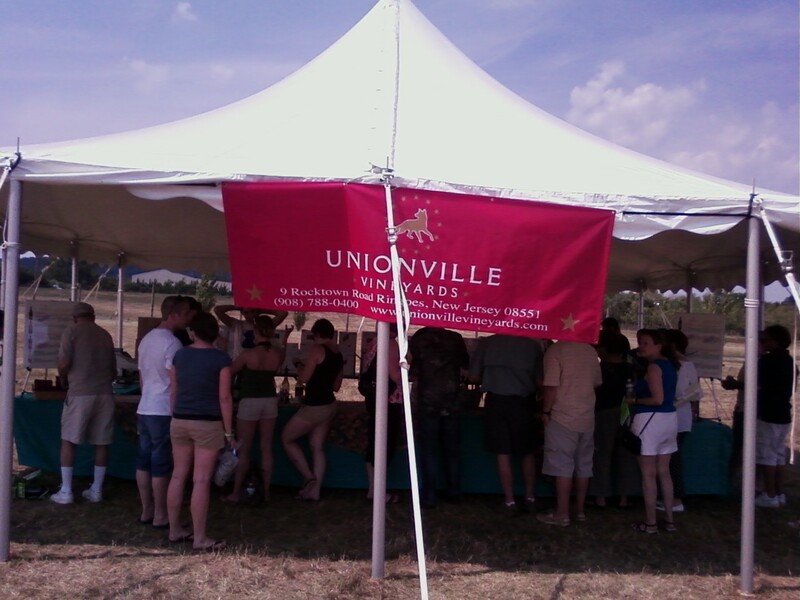 Unionville has always been at the forefront of New Jersey and East Coast winemaking. It it one of the first growths of the East Coast for sure, up there with Wolffer, Raphael, Sakonnet, Chaddsford, Barboursville, and numerous others. But several years ago new owners took control of Unionville, and made some changes, and brought in Cameron Stark. Cameron Stark, formally trained at UC Davis and spent his early career under the tutelage of Napa Valley wine experts perfecting his skills and mastering his unique, creative style of winemaking. Cameron’s wines have earned him respect and recognition in the wine establishment including Wine Enthusiast ratings of 90+ points. He is committed to crafting some of the finest, sustainable American wines, here in New Jersey, by continuously strengthening the vineyards with superior vine stock and employing painstaking methods to nourish the soil and harvest the finest quality fruit. Cameron's pretty good on the crush pad, in the barrel room, and everywhere else. I have never personally met Cameron. But I know his wines. And I know his Assistant Winemaker Zeke Johnson. I've met Zeke several times by now. And I was lucky enough to bump into him again at the East Coast Food & Wine Festival down at Hopewell Valley Vineyards. I tasted a number of their wines, all of which confirmed for me their place in East Coast winemaking. Pinot Grigio 2009 - light, refreshing, citrusy, great finish. Lovely! 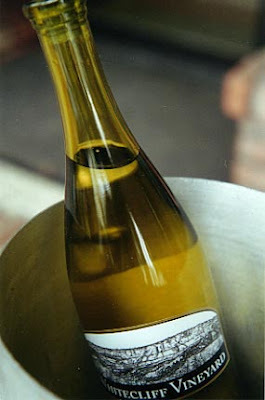 Fox Series Chardonnay 2007 - A kiss of oak as they say. Hint of vanilla. Melon and apples on the nose. Fresh fruit followed by a touch of creaminess. Usually don't like oaked Chards, but I liked this alot! The Juggler - Riesling, Chardonnay, Gewurztraminer, and Pinot Grigio. Light white with citrus tones and a fabulous refreshing finish! Very fun. Mountain Road Pinot Noir 2008 - Recetly won a Gold Medal at San Diego Wine Competition 2010. Single vineyard bottling. A light Pinot Noir. Very Finger Lakes in its style. Light. Fruity. But austere at the same time. Big acid, which balanced out the bright cherry fruit. A lovely wine. But of course, the big fun was tasting The Big O. This year's version of this wonderful red is 69% Merlot, 26% Cabernet Sauvignon, and 5% Cabernet Franc. They were tasting the wine at the event, but they did not have labels, so they could not sell it. But if you didn't go to the event, then you missed your chance to taste it for now. And boy, is that a shame! A wonderful big red wine. A combination of cherry, bright and dark, as well as raspberry, touch of prune and plum, as well as a touch of cassis and a hint of spices and vanilla. The wine underwent a two week dry maceration and five weeks extended maceration, which helped with color and flavor extraction. Unfiltred. Bottled in May. An excellent, excellent wine. They didn't have the Merlot, but Zeke said it's one to watch for. This tasting for me confirmed what I said above here - Unionville is one of the best wineries on the East Coast. And Cameron, with some help from Zeke, will ensure that that tradition and record will continue to grow. 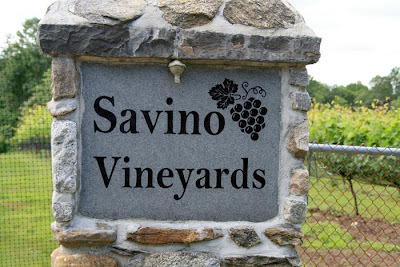 WOODBRIDGE – Situated on eight acres of pristine farmland with gently blowing winds perfect for growing grapes for winemaking sits Savino Vineyards.The vineyard, located at 128 Ford Road, was the dream/vision of winemaker Gennaro (Jerry) Savino and his wife Louise. Jerry said the land that is home to his many grapes was not always in the pristine shape it is today.Savino said the soil was decent and was near the perfect 6 ph he needed to grow his grapes.The ground was riddled with massive boulders that had to be cleared out for planting. The boulders are now a natural landscape on the property.Savino said he and his family moved to Woodbridge in 1971.“There was not one vineyard in Connecticut then,” Jerry said. Before following his passion as a winemaker Savino owned several restaurants in New York and Connecticut.Today his vineyard is part of the Connecticut Wine Trail Passport. Where you can tour various vineyards in Connecticut, receive a ‘passport’ stamp and be entered into a drawing for several prizes.Jerry said the back-breaking work of clearing and preparing the land was done by himself and his family. It was very labor intensive he said.Jerry, who was born in Italy, said he came from vineyard country. He came to the United States in 1954. 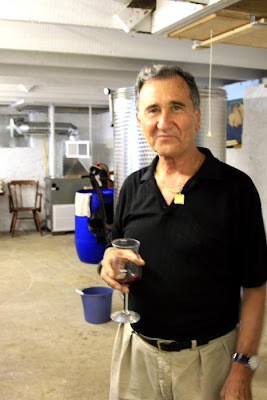 Before coming to Connecticut he was in the restaurant business starting with a pizza parlor in New York City.Jerry planted his vineyard in 2000 and opened the vineyard to the public in 2008. The first year he said he reaped about one-third his crop.Savino said his most popular wine is a merlot, St. Croix. Another red is Frontonac, but it isn’t as popular as the merlot.Another one is cabernet franc with quite a following already. He is only producing one white wine, a sauvignon blanc, right now. Jerry said birds and deer are his biggest vineyard problems so he has installed a special Italian type of fencing to protect the grape trees to dissuade the critters from eating his grapes. And he has been successful with this method of animal control.Savino said his wine production time is toward fall with the early grape (St Croix) at the beginning of September and the rest the first week in October. He has already won accolades for his efforts with the 2009 bronze medal winner from The Wine Society for the 2007 St. Croix in the Amenti Del Vino International Wine Competition. he Hudson Valley’s Whitecliff Vineyard Beat Thousands of the World’s Wines to Take Best White Wine at the San Francisco International Wine Competition! Gardiner, New York. , June 23, 2010: Whitecliff Vineyard, one of the Hudson Valley’s premier small family wineries, just took home a Double Gold and the Best In Show - White Wine award at this weekend’s San Francisco International Wine Competition. This is the largest, most influential international wine competition in America, judged blind by a prestigious panel of nationally recognized wine experts. With almost 4,000 wines entered this year from all over the world, Best White is a significant honor for Whitecliff, and for Hudson Valley winemaking. The honor went to Whitecliff’s 2009 Riesling. Important to note that as Best in Show it was chosen over a huge selection of well-known and highly respected wines, such as Chardonnays from Napa Valley and France, New Zealand Sauvignon Blancs, and Rieslings from Germany. The Riesling was produced at Whitecliff from their own Hudson Valley Riesling grapes, combined with grapes from the Finger Lakes and Long Island, to balance the strengths offered by each of these different New York regions. This year marks the 30th year of the San Francisco International Wine Competition, making it one of the oldest in the nation. As a small, artisanal winery, Whitecliff produces a total of about 3,000 cases of wine a year, with wines regularly selling out. Less than 200 cases of our award-winning Riesling were originally produced, and at this time we have a little over 100 cases still available for sale. It is medium dry, with 2% residual sugar, a ph of 3.0, and acidity of 8.25 g/l. With 26 acres of vineyard, and its roots in a passion for farming, Whitecliff is one of the leading vineyard-based wineries in New York’s Hudson Valley. The winery is located at 331 McKinstry Road, in Gardiner, NY. It offers a line of primarily dry, European style wines, from Chardonnay and Pinot Noir, to its award-winning Awosting White, and Gamay Noir. Our wines have been featured at many respected restaurants, including the Culinary Institute of America, the Gramercy Tavern, and Xaviers. Wine Spectator Gives Paumanoak Cabernet Franc a 90! Wine Spectator Executive Editor Tom Matthews raves about the Paumanoak Cabernet Franc 2007 in the upcoming July 31, 2010 issue. He have the wine a 90! Thomas said the wine was "ripe" an that "black cherry and plum, with accents of tobacco, herb and smoke." He also said the wine had "good density" and that the "finish is fresh and floral." 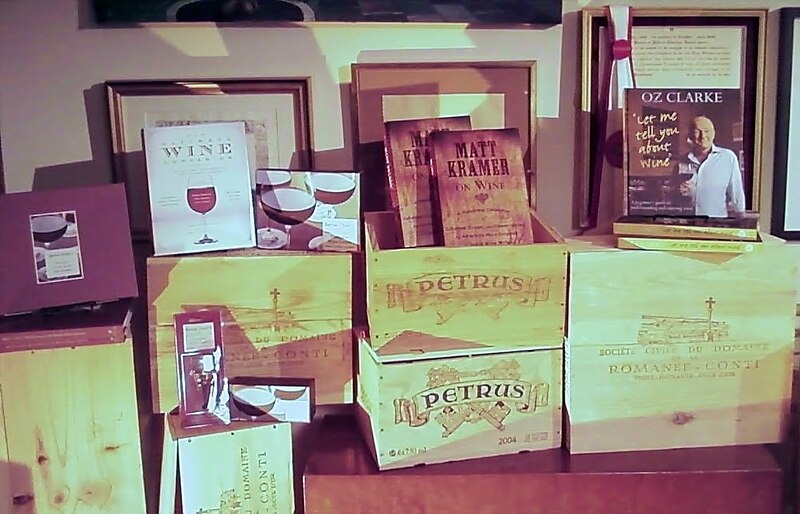 Matthews said the wine would cellar well through 2014. Matthews is no pushover, so this score is high praise indeed! Congrats to the folks at Paumanok! And thanks Thomas Matthews! The summer of 2007 was memorable. Spectacular conditions in June - warm, dry and breezy - allowed for a near perfect fruit set and subsequent large yields. It was a long, hot summer with a remarkable stretch of blue skies and plenty of sunshine in late August and throughout September. An intensive regimen of leaf removal (to better expose the fruit to the sun and air) and fruit-thinning, or "green-harvesting", was performed to lower yields and remove unripe fruit. The nearly ideal weather conditions combined with these viticultural practices allowed for the Cabernet Franc grapes to achieve maximum ripeness. The vineyard yielded about 2.5 tons per acre. The grapes were sent through the crusher-destemmer with the rollers set wide apart to retain a larger number of whole berries. Next, the grapes were sorted to remove MOG (matter other than grape) and any unripe or undesirable fruit. The must was inoculated immediately with both yeast and malolactic bacteria. This practice, called co-inoculation, marks an innovation in the red wine program at Paumanok. It resulted in the completion of malolactic fermentation prior to the completion of alcoholic fermentation. This has the major advantage of allowing the winemaker to rapidly protect the wine with sulfites (as opposed to waiting weeks or months after alcoholic fermentation for malolactic fermentation to complete). Delestage (complete drainage of free run and then irrigating over the cap, also called "rack and return") was done to achieve thorough, gentle extraction while minimizing the extraction of harsher tannins by the elimination of seeds as the cap settles during delestage. This method ensures that only the softest tannins are extracted. After the fermentation was complete, the free run was drained into oak barrels. The must was pressed and, after clarification, was also moved to oak barrels. After 14 months in French oak barrels the Cabernet Franc was bottled. 10% was bottled under screw cap, the remainder under cork. Offers attractive aromas of black cherry, prune, rich earth and more subtle notes of vanilla and sweet spice. It is medium to full-bodied with soft but firm tannins. The 12th Annual West Virginia Spring Wine Festival was a big hit in Crab Orchard. CRAB ORCHARD -- Saturday marked the 12th annual West Virginia Spring Wine Festival in Crab Orchard. 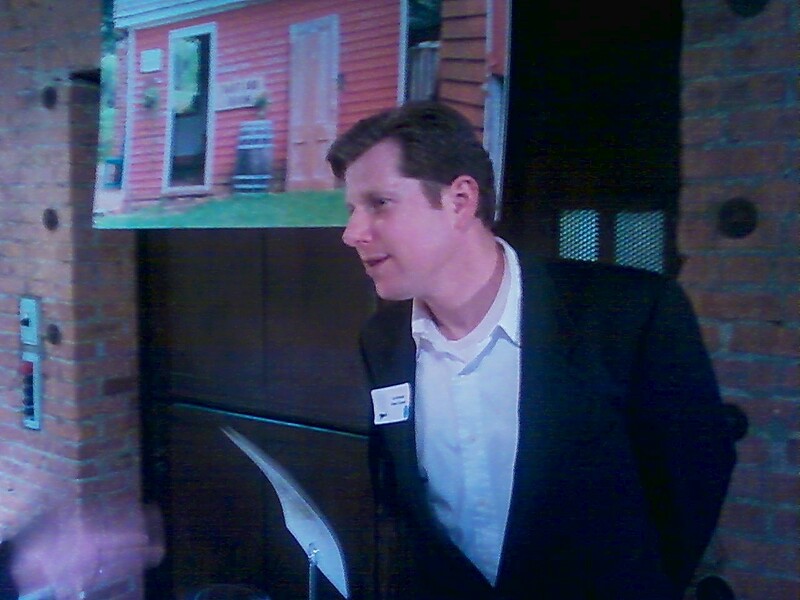 The event, now a regular event every third Saturday in June, was held at Daniel Vineyards. Locals were given a chance to test wine from seven vineyards found within our state. Wine enthusiasts say it’s a great event because West Virginia wines have their own special tastes. Unlike high volume wine exporters, like California and European countries, West Virginia vineyards have a far shorter growing season. “They’re relatively unknown, but they’re great and have even helped us win some competitions,” Dr. C. Richard Daniel, owner of Daniel Vineyards said. He adds that word is beginning to spread. Each year the wine festival has grown steadily. Copyright 2010 West Virginia Media. I have broken up the state of New Jersey into six wine regions or trails or trips. These trails or associations are generally travelable in a one-day trip, some longer than others. The idea is trying to break the wineries into small bite size regions that have some geographical identity or pattern easy for day-trippers to manage without long intervals of travel (where possible). I have given these wine regions names. They are not official, and New Jersey does not have individual trails. Still, I think it makes visiting the wineries fun and doable. This is the most far-flung of all the wine groups. I named this an alliance rather than a trail, since the wineries are not close together, but are in the same geographic region, in the north western part of the state. All of these wineries are located north of the Trenton area, and are an easy day-trip. This small group of wineries are among the best in the state. All have achieved excellent reviews and ratings. Hopewell Valley and Unionville make exceptional dry whites and reds, and Alba makes wonderful Riesling and some of the best dessert wines in the country. This wine trail is generally located in the southern portions of Mercer and Monmouth counties, south of Trenton. All three grow their own vines, and make excellent red wines that will be getting better. These are all a lovely daytrip from Trenton and the surrounding region. This is the largest concentration of wineries in the state, all of which are located just north of the Atlantic City Expressway. This is a fun, easy day-trip for folks from the Cherry Hill/Philadelphia region. But being near the Expressway makes this one of the most easily accessed wine regions in the state. This group of wineries includes some of the oldest (Amalthea, Renault, Sylvin Farms, Tomasello) and some of the newest (the rest). A great variety of wines will be had on the trail from fun picnic wines to sophisticated dry reds. These wineries are all an easy day-trip from the Cherry Hill/Philadelphia area. All are located south of the Atlantic City Expressway. Certainly one of the up-and-coming little regions in New Jersey. 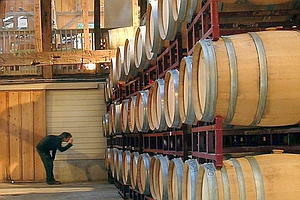 All three wineries produce solid wines, and are popular destinations in one of New Jersey’s premiere shore communities. Easy day trip and fun. 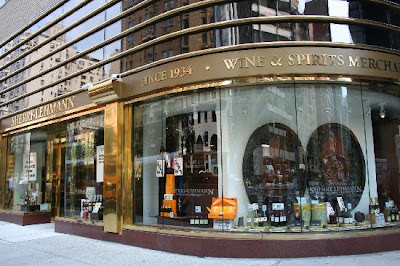 On Wednesday, June 23, 2010 at Sherry-Lehmann in New York City, three of the most important wine writers gathered for a taping to discuss wine. The participants were Oz Clarke, Matt Kramer, and Kevin Zraly. 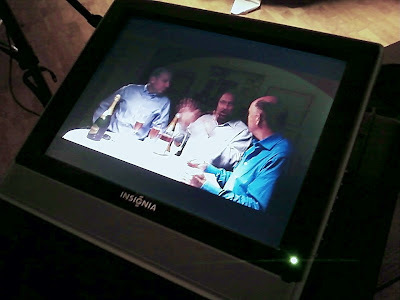 The conversation ranged form different types of wine, to wine regions, to thoughts on decanting. The taping was organized deftly by Sherry-Lehmann's Director of Sales & Education Robin Kelly O'Connor. All three writers have new books coming out this year with Sterling Epicure, the new food, wine, beers, and spirits imprint at Sterling Publishing Co. Inc. I am the Editorial Director of Epicure, along with three other imprints at Sterling. But spending a day with these three was something special. They all have great new books coming out this Fall 2010. 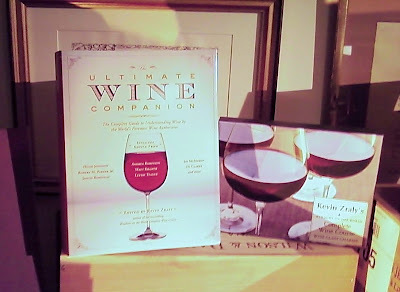 The Ultimate Wine Companion edited by Kevin Zraly is a primer on wine, including more than 30 experts on wine, including Hugh Johnson, Robert M. Parker Jr., Jancis Robinson, Andrea Immer Robinson, Joshua Wesson, Oz Clarke, Matt Kramer, Eric Asimov, Karen McNeill, and many, many more. 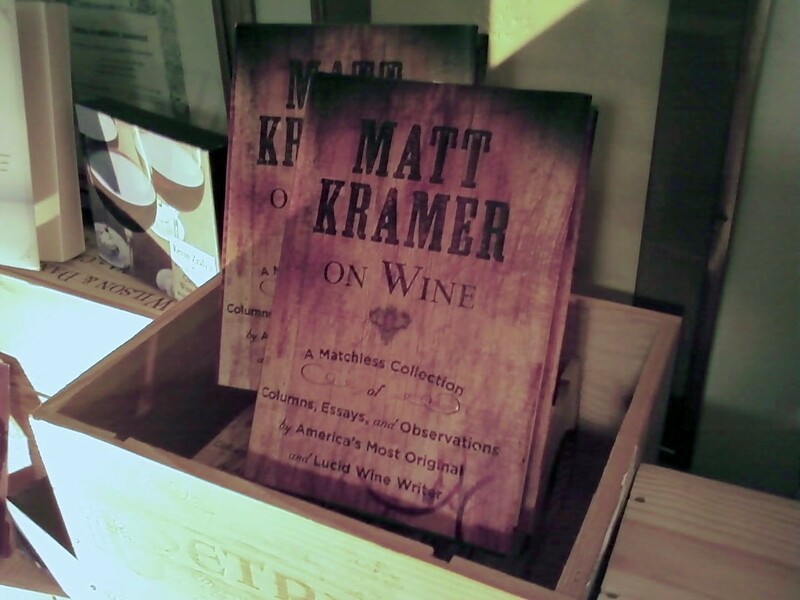 Matt Kramer on Wine is a collection of Matt's best columns from the last twenty years. Funny, irreverent, and incredibly insightful, this is classic Matt at his best. Fascinating! 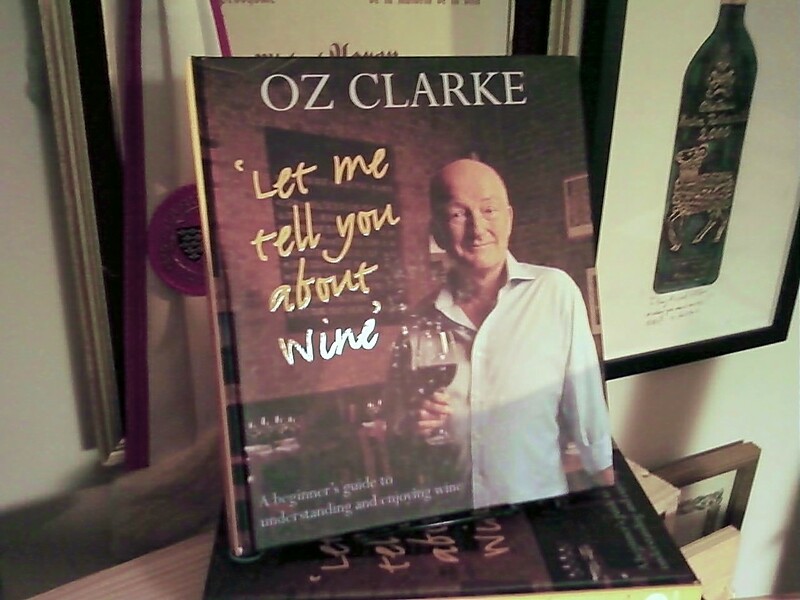 Oz Clark has two new books out. Right now you can buy his new Wine & Grapes The Revised Edition which is almost twice the size of the previous edition, and chock full of information! The second book is Let Me Tell You About Wine, which is an incredibly colorful beginner's guide to wine. Oz breaks down complex ideas into easy to remember, bite-sized chunks of information. Fun as it is informative. The day started out with Oz and I having lunch with Howard G. Goldberg of the New York Times at Casa Lever on Park Avenue. From there it was a hop, skip, and a jump over to Sherry-Lehmann for the taping. From there, we went to dinner, Oz, Matt, Kevin, myself, Marcus Leaver (Sterling CEO) and Jason Prince (Publisher, Adult). 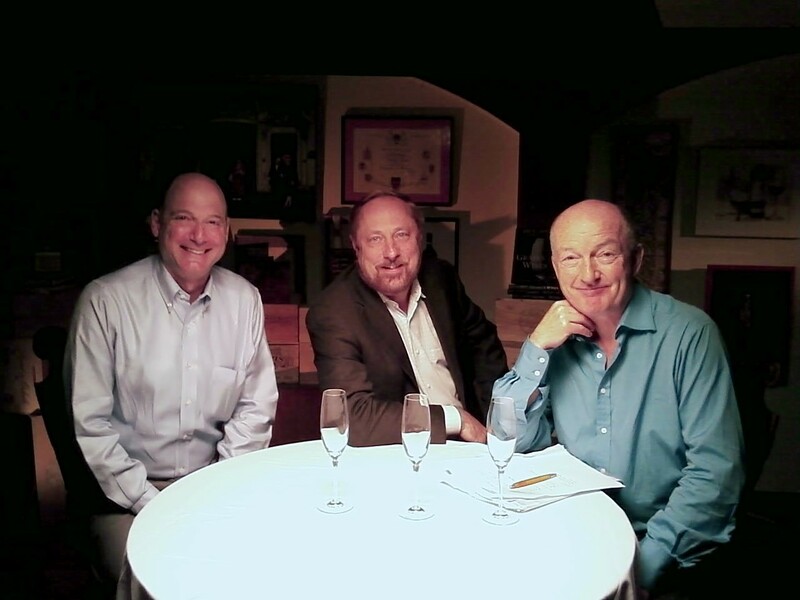 It was clear that these three giants each had forgotten more about wine than I have ever known. They have traveled, sometimes together, to tastings around the world. The conversations were fascinating. It was a great, great day. What was most fascinating was that during the tapings people on the set were quiet, not just because we were taping, but because people wanted to hear what they were saying. The Sherry-Lehmann staff, who have all certainly seen a lot in their time, were all sneaking up to watch portions of the taping. Everyone was mesmerized. 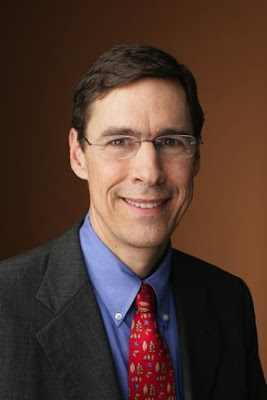 Howard G. Goldberg of the New York Times reported on Twitter today that Leslie Howard of Pindar succeeds Richard Olsen-Harbich at Raphael. Raphael, a leading Long Island estate, has hired Leslie Howard, Pindar's winemaker since mid-2008, to succeed Richard Olsen-Harbich. 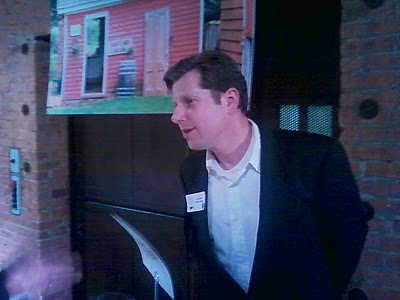 Howard spent four years as Jamesport Vineyard winemaker. He has worked as a winemaking assistant at Wölffer, Bedell and Osprey's Dominion. Howard's winemaking education and experience have been entirely hands-on. He is a 1993 graduate of Mattituck High School. Howard, 35, is to join Raphael, a heavily bankrolled estate in Peconic on the North Fork, in late July. Congrats to Leslie Howard, who this blog named as one of the top candidates to succeed Rich! 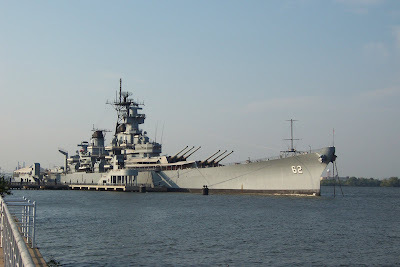 Stationed peacefully in the Delaware River at the Camden Waterfront, the Battleship New Jersey stands regal, proudly relaying to all its decorated history of serving its country in World War II, the Korean War, Vietnam and the Persian Gulf. However, like most sectors of our nation, it has been affected by the sagging economy. It has recently experienced a reduction in staff, budget and hours. The staff at the battleship along with local winemakers at Auburn Road Vineyard & Winery in Pilesgrove Township are hoping that a new fundraising venture will help plug some of the economic holes for the ship. Auburn Road Vineyards has created two new wines the Battleship Red and the Battleship White that will be offered at various venues, including local retail liquor shops, Auburn Road Vineyards and the ship itself. 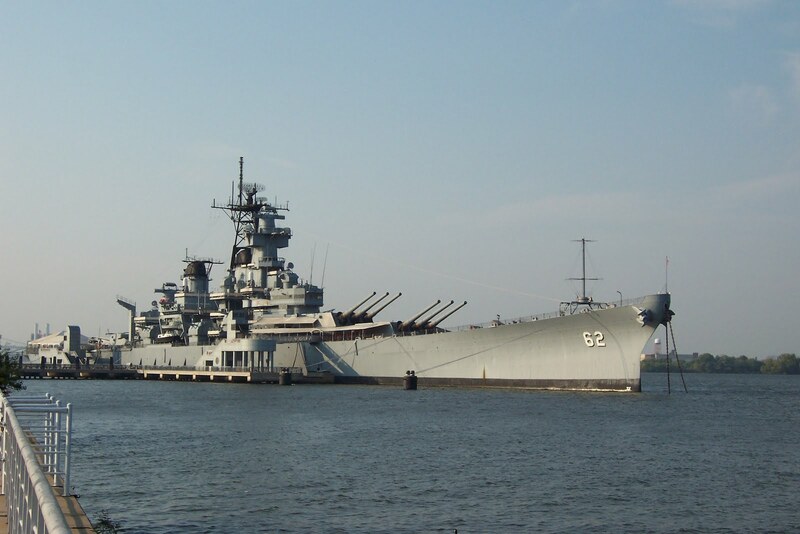 A portion of each bottle sold will go directly to the Battleship New Jersey Museum and Memorial. According to Scott Donnini, co-owner of Auburn Road Vineyards, the project has been a truly collaborative effort right from the start. Donnini said he and business partner Joe Reilly were attending a Jersey Fresh event held on the Battleship New Jersey in September. While impressed with the event, Donnini said they were astounded by the ship itself. "It's such an amazing ship with an incredible history," he said. During the event, Donnini met Jack Willard, senior vice president of marketing and sales for the battleship. Their discussion on the ship and its history soon turned to the challenges of operating and preserving the ship, particularly during tough economic times. When Donnini and Reilly offered to help in any way they could, Willard suggested the idea of a custom wine specifically for the battleship. "We loved the idea and volunteered to not only make one wine but we would make two a red and a white," Donnini said. "We'd donate a portion of the proceeds to the ship and have information on the label indicating how people could help or donate if they chose." View NJ Wine Competition Gallery! HAMILTON SQUARE, NJ -- The Tomasello Winery of Hammonton has been named Winery of the Year in the annual New Jersey winemaking competition held by the Garden State Wine Growers Association. Tomasello took three gold, five silver and two bronze medals in the annual competition. Twenty four New Jersey wineries participated in the competition, taking 18 gold, 36 silver and 98 bronze medals for a wide variety of different wines. Tomasello won three gold medals for its 2007 Cabernet Sauvignon, its Vidal Ice Wine, and its Raspberry Wine. The state’s largest winery also took five silver medal for its 2007 Petite Verdot, 2007 Cabernet Franc, its non vintage Blanc de Blanc champagne, a non vintage Sparkling Blueberry Wine and its 2007 Nevers Oak Cabernet. Tomasello’s Vidal Ice Wine also won the Governor’s Cup for best dessert wine. The winery also took two bronze awards for its 2008 Pinot Noir and its 2007 Outer Coastal Plain Villard Noir. 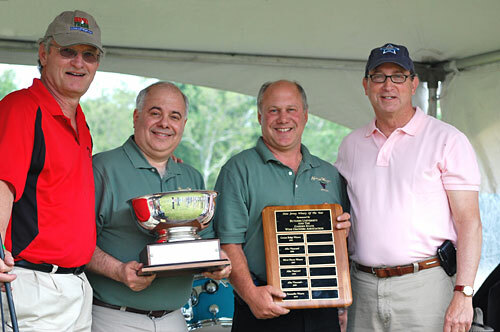 TOP WINNERS—Charlie and Jack Tomasello, second and third from left, accept top honors for Winery of the Year and Best Dessert Wine, from Doug Fisher, New Jersey Secretary of Agriculture, right, and Dr. Gary Pavlis of Rutgers University, left, during presentations at Blues & Wine Festival Memorial Day weekend in Peapack Gladstone. Other top winners in the competition include Alba Vineyards of Milford which took the Governor’s Cup for best grape wine for its 2007 Heritage Cabernet Franc and Plagido's Winery of Hammonton which won the Governor’s Cup award for best fruit wine for its non vintage Blueberry Wine. 4 JG’s Orchards & Vineyards of Colts Neck took two bronze medals for its 2007 Chambourcin and its 2007 Celebration Cab, a cabernet franc. Alba Vineyard won two gold medals for its 2007 Heritage Cabernet Franc and its non vintage Raspberry Wine, three silver medals for its non vintage Old Mill Red, its non vintage Dolcina dessert wine and its 2008 Pinot Noir. The winery also won eight bronze medals for its 2008 Chardonnay, 2007 Port, 2009 Gewurztraminer, 2009 Riesling, 2007 Chambourcin, non vintage Forbidden Ice Apple Wine, non vintage Mainsyl White and its 2008 Barrel Reserve Chardonnay. 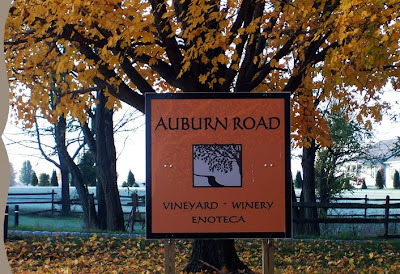 Auburn Road Vineyards in Pilesgrove took three silver medals for its 2008 Chambourcin, 2009 Pinot Grigio and for the 2009 White Bottle chardonnay. It also took a bronze for its Blessington cabernet sauvignon and concord blend. Bellview Winery of Landisville took a gold medal for its 2008 Petit Verdot, two silver medals for its 2009 Viognier and its 2008 Cabernet Franc and six bronze medals for its 2008 Lemberger, 2007 Merlot, its non vintage Jersey Devil Red, its 2009 Traminette, non vintage Jersey Devil White and its 2008 Syrah. Cape May Winery & Vineyard took a gold medal for its 2007 Cabernet Sauvignon and three silver medals for its 2009 Pinot Grigio, 2008 Cabernet Franc and its 2008 Cape May Cabernet Sauvignon. The Cape May winery also won seven bronze medals for its non vintage Isaac Smith Port, its 2009 Cape May Riesling, its non vintage Cape May Red, its Isaac Smith Apple Wine, its 2009 Cape May Chardonnay, its 2008 Cape May Barrel Chardonnay and its 2008 Isaac Smith Red Reserve. Cedarvale Vineyard in Logan Township picked up two bronze medals for its 2008 Chardonnay and its 2008 Cabernet franc. Coda Rossa of Franklinville won a silver medal for its 2009 Cabernet Franc and three bronze medals for its 2009 Chambourcin, 2009 Pinot Grigio and its 2009 Meritage. Cream Ridge Winery of Cream Ridge won six bronze medals for its wines including a non vintage Fredonia, a non vintage Lemberger, a non vintage Cabernet Sauvignon, a non vintage Cranberry Wine, a non vintage Chambourcin and an Almondberry Wine. DiMatteo Vineyards in Hammonton won a silver medal for its Cranberry Wine. DiMatteo also picked up six bronze medals for its wines including a Strawberry Wine, a non vintage Chambourcin, its Pasquale Red, its Jersey Red, a non vintage Chardonnay and its Madison, a Cayuga Concord blend. Four Sisters Winery of Matarazzo Farms in Belvidere won two bronze medals for its 2008 Leon Millot Reserve and its non vintage Papas Red. 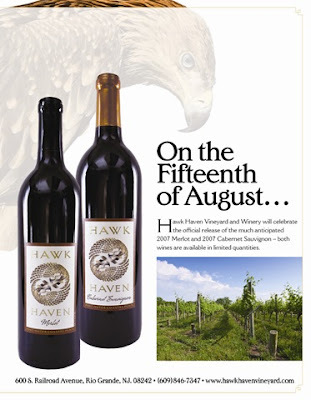 Hawk Haven Vineyards of Rio Grande won a gold medal for its 2007 Merlot and three bronze medals for its 2007 Red Table Wine, its 2007 Cabernet Sauvignon and its 2007 Pinot Gris. Heritage Vineyards of Mullica Hill won three gold medals for its wines including a 2007 Chambourcin, 2007 Cabernet Franc and a 2007 Cabernet Sauvignon. The winery also won a silver medal for its 2007 Merlot and three bronze medals for its non vintage Blueberry Wine, a 2007 Syrah and a 2007 Dry Rose. 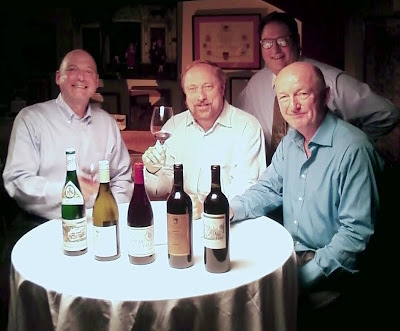 Hopewell Valley Vineyards of Pennington took home four silver medals for its wines including a 2005 Port, its 2007 Dolce Vita, a non vintage Vidal Blanc, a 2006 Porto Bianco, a 2008 Pinot Grigio, its 2007 Rosso della Valle and its 2007 Barbera. Laurita Winery of New Egypt won a silver medal for its non vintage Chambourcin and four bronze medals for its 2006 Chardonnay Reserve, 2007 Merlot, its non vintage Cabernet Franc Bistro and its 2006 Chardonnay Naked. 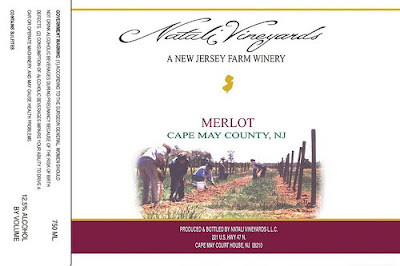 Natali Vineyards of Cape May Court House won a silver medal for its non vintage Merlot and four bronze medals for its non vintage Sauvignon Blanc, non vintage Tempranillo, non vintage Goshen White and its non vintage Shiraz. Plagido’s Winery of Hammonton won two gold medals for its Blueberry Wine and its Niagara Wine and two silver medals for its Cranberry and Cherry Wines. The winery also took home eight bronze medals for its wines including Plagido’s Choice, a non vintage Cabernet Franc Oaked, a non vintage Cabernet Franc Reserve, its Antonio Rossi, Concetta’s Sasalinga, an Apple Wine, Cory’s Zocchero and a non vintage Chambourcin. Renault Winery of Egg Harbor captured five silver medals and 11 bronze. Silver award winners included a 2007 Merlot Prem, a 2008 Garden State Red, a 2007 Cab Premium, a 2006 Cynthiana, a non vintage Fresello, a non vintage Pink Champagne, a 2007 Cynthiana, a 2008 Chardonnay Premium, a non vintage Louis R. Prem Champagne, a 2008 Burgundy, a Roya Rouge, a 2007 Sauterne, Fleur de Blanc, a non vintage Chablis, a non vintage Chardonnay and a non vintage Blush Wine. Sharrott Winery of Blue Anchor won a gold medal for its 2009 Vidal Blanc and a silver for its 2008 Cabernet franc. The winery also won four bronze medals for its wines including a Raspberry Wine, a 2009 Chardonnay Unoaked, a 2008 Shiraz and a 2008 Chambourcin. Silver Decoy Winery of Robbinsville won a gold medal for its 2007 Cabernet Franc. The winery also won five bronze medals for its wines including its 2008 Marechal Fach, its 2008 Retriever Syrah, its 2007 Retriever Sangiovese, its 2007 Chambourcin and its 2007 Traminette. 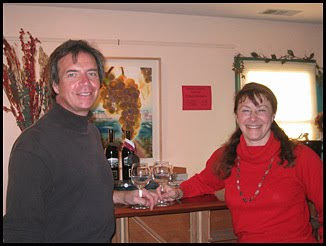 Turdo Vineyards & Winery of North Cape May took a silver medal for its 2009 Barbera and a bronze medal for its 2009 Moscato. Unionville Vineyards in Ringoes won a gold medal for its Portvat#15 and three bronze medals for its wines including its 2007 Riesling, 2008 Revolution Red and its 2008 Lafayette Pride. Valenzano Winery of Shamong took a gold medal for its non vintage Shannon Red Rose. Valenzano also took eight bronze medals for its wines including its 2008 Merlot, its Jersey Devil Port, a 2008 Vidal, its Cranpagne, its Pinelands Blush, its Blueberry Wine, its 2008 Utche’s Red and its 2008 Cab/Merlot Reserve, a blend of Cabernet Franc, Cabernet Sauvignon and Merlot. Westfall Winery in Montague won a gold medal for its MidSummer White traminette/chardonnay blend and two silver medals for its Cranberry and Apple Wines. The winery also won bronze medals for its Blackberry and Raspberry Wines and its Skylands Blush. For more information on the winning wineries and their medal winning wines, go to GSWGA Wineries. Maybe you noticed a theme this week? 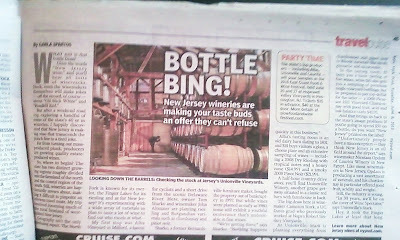 I'll be speaking about New Jersey wineries this weekend, so I'll be devoting the rest of the week to New Jersey wines. Come on down to Pennington, to Hopewell Valley Vineyards, and join us at the festival. Should be lots of fun! I hope you can join me at the East Coast Food & Wine Festival on Saturday June 26th, 2010. The festival takes place at lovely Hopewell Valley Vineyards in Pennington, New Jersey and includes cooking demonstrations, wine presentations, winery tours, wine tasting, great restaurants, a farmer’s market and more.I will be doing a wine presentation Saturday at 4:00 p.m. In addition to the presentations, I will also be answering any questions you may have as well as selling autographed copies of my book Wineries of the East Coast. I hope to see you there.The East Coast Food and Wine Festival is held on June 26 & 27 from Noon to 5:00 p.m. and features the best restaurants and some of the most celebrated wineries of the area. Attendees can sample dishes prepared with the season’s locally grown vegetables, fruits, seafood, chicken, meats and more dished up by some of the most exciting chefs in the State. Participating restaurants include Brother’s Moon (Hopewell), Cherry Grove Farm (Lawrenceville), High Street Grill (Mt. 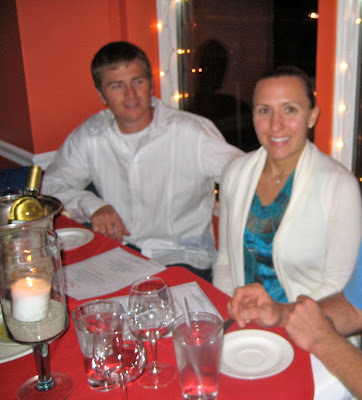 Holly), Matt’s Red Rooster Grill (Flemington), and Tre Piani (Princeton Forrestal Village). Desserts will be offered by Bent Spoon (Princeton, gelato), The Little Chef Pastry Shop (Princeton) and more. In addition, estate wineries from the State will be offering samples of hundreds of wines grown and produced near by. Attendees can sample award-winning wines to pair with the food from New Jersey wineries including host Hopewell Valley Vineyards (Pennington), Alba Vineyard (Finesville), Unionville Vineyards (Ringoes), Cape May Winery (Cape May), and Laurita Vineyards (New Egypt). 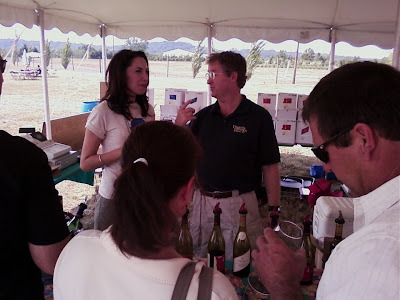 What: East Coast Food And Wine FestivalWhen: June 26 & 27, 2010 - Noon to 5:00 p.m.
Kenna and Todd Wuerker own and operate Hawk Haven Vineyard and Winery on a third-generation farm, which Todd’s grandparents founded in 1940. Hawk Haven produces 1,800cases of high quality wine annually and hosts events on the expansive and hawk-rife property. Hawk Haven Vineyard and Winery opened its oversized wooden doors to guests in the summer for 2009. The new winery is the fourth operational winery in Cape May County, which is fast becoming a wine destination (there are four operational wineries and three more vineyards will open within the next few years). Noted wine professor, consultant and judge Gary Pavlis asserted, “The Hawk Haven wines prove that Cape May is one of the best places on the East Coast to grow wine grapes." The new and modern vineyard produces wines that speak for themselves; the Pinot Grigio and Merlot are particularly standout. "The Merlot blew me away and seems more like a Napa wine than an east coast wine” and the Pinot Grigio has, “great fruit and great minerality” said Pavlis. The Wuerker Farm, now Hawk Haven, began when Felix Wuerker, whose father was a winemaker, traveled to America to work as a dairy hand. He fell in love with Irene Heathcoat, a native of Cold Spring, NJ. They bought a dairy farm near Irene’s home in the sandy, haven of Cape May County, NJ. Their son, Ed Wuerker, has worked that same farmland all his life. He and his wife Sue have watched as the sandy soil of the Wuerker farm produced, in turn, snap beans, peas, pumpkins, the iconic New Jersey lima bean and finally – wine grapes. 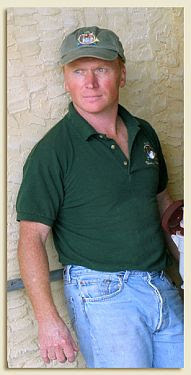 Although Hawk Haven Vineyard and Winery is new, Todd has practiced the art of grape growing for twelve years. He started the vineyard with 100 Cabernet Sauvignon vines and watched them flourish. Now, he is pushing the traditional limits of New Jersey vineyards and experimenting with grapes like Malbec and Tempranillo.Hawk Haven Vineyard’s sprawling property has two lakes and even a swing for the kids. Guests enjoy picnicking on the property with bottles or glasses of wine. On “Sangria Sundays”, blonde sangria is available by the glass ($5) along with other frozen drinks including a blended rosé called a “Rosarita”. 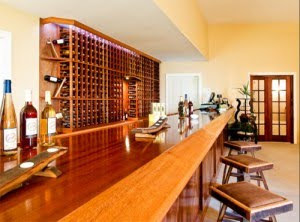 The extra-long mahogany bar in the tasting room exudes a relaxed modernity. Wines start at $14 per bottle and include 2008 Pinot Grigio, 2007 Red Table Wine, 2007 Merlot, 2007 Cabernet Sauvignon, 2007 American Kestrel, 2008 Riesling and 2008 Red-Tailed Rose. Tastings are $5. The tasting room is open every day from 11am to 7pm. 600 South Railroad Avenue. Rio Grande NJ. (609) 846- 7347. There's lots of good things going on at Hawk Haven. If you don't visit, when you're down there, then you are missing something. The wineries of southern New Jersey are doing big business, but even so, the reputation of industrial northern New Jersey isn't helping. "People (who don't know better) talk about New Jersey wine like they're drinking skunk juice," said Ray Pensari, co-owner of Natali Vineyards in Cape May Court House. Rather, the sandy soil of Cape May County is ideal for grape vines, growers say. The wineries are young, however, and just as wine grapes take a long time to cultivate, so does a regional reputation. "I think a lot of it has to do with people being snobs," said Ewa Nadolczak, working in the tasting room at the year-old Hawk Haven Vineyard and Winery in Rio Grande, Middle Township. "Everything is 'California, California, California.'" Among the customers touring the county's wineries Sunday were the Buonannos of West Milford, Passaic County, who make the four-hour trek once a year. "You will not believe how many people (looking for wineries) go, 'What, in New Jersey? What, in Cape May?'" said John Buonanno, a construction official. He had never before seen the cozy premises of Turdo Vineyards in the North Cape May section of Lower Township, but he had enjoyed a bottle of dry, rare Italian wine from there. "I'm not a connoisseur," Buonanno said. "I like it. I don't know how else to say it." Most of Turdo's marketing happens for free, by word of mouth or Internet reviews, owner Sal Turdo said. Like all his competitors, Turdo said business is improving year after year, even without a marketing blitz - and with an entrance that would be easy to miss without the broad Italian flag planted there. "People who drink wine, they still drink wine" in a slumping economy, said Turdo, a native Sicilian who set up shop in 1999. "We don't have to do much, we just have to be here." The best days of business usually come when inclement weather makes the county's more famous tourism draw less attractive. "You can only take the sun and beach so many days," said Stephanie Vogel, Cape May Winery's tasting room manager, who worked behind a counter in the merciful air conditioning while Sunday sweltered outside. The 14-year-old winery is expanding after several years of steady growth. Customers there frequently have been referred by local bed-and-breakfasts where they stay, Vogel said. None of the winery workers said government tourism bureaus have marketed Cape May wine country impressively. "The actual state themselves, they could care less," Turdo said. "Everything we have to do locally." 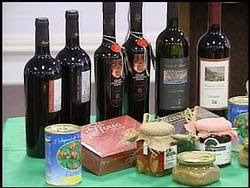 Pensari predicted several more wineries will debut in the county in the coming years. That process is understandably slow, Nadolczak said. "Down here for years, lima beans were the king of crops," the Lower Township resident said, as an acoustic guitarist entertained guests under a tent on the lawn outside. "You have to get (farmers) out of that mindset." Pensari admitted rooting for the occasional roll of clouds to dislodge visitors from their beach chairs, but on most days, for his vines' sake, he'd prefer a dry 80 to 85 degrees. That just happens to be perfect beach weather, but that's all right, Pensari said as he puffed on a cigar: "We only want you for one day." After eight years, the New Jersey Governor’s Cup Wine Competition is finally all about New Jersey. Wines made with grapes purchased from out-of-state are now banned from the state’s competition. As a result, they aren’t eligible to be served at state-sanctioned events where New Jersey wine is poured. Competition coordinator, Gary Pavlis, Ph.D., Rutgers University Professor and Agricultural Agent was pleased. Pavlis is talking about places such as the lima bean farm in Cape May, N.J., that switched to grapes and became Hawk Haven Vineyards – one of the bright newcomers in the Garden State. Recently, I spent a day with growers and vintners of New Jersey’s newest American Viticultural Area, the Outer Coastal Plain. Their red wines – mostly 2007 and a few 2008s — were extraordinary. The New Jersey-only rule knocked the number of entrants into the Governor’s Cup Competition down to about 300 compared to the usual 350 or so. As a judge, I prefer the in-state rule. In addition to rewarding the industry and providing guidance for consumer, I use wine competitions to stretch my palate and get a sense for a state’s wine style. I’ve judged this competition long enough to see the submitted wine –and the state’s industry – move from fruit and hybrid grapes to noble vinifera grapes. In panels of four, we taste the wines blind – we don’t much more than the grape, blend, vintage and residual sugar. Some of the highlights included two chardonnay made in a lean style that reminded me of sauvignon blanc. The merlot flight was pretty weak, almost like a faults session. But the east has had two challenging years. The cabernet francs were good, but tasted more like non-distinct reds. I found one I really liked and rallied my panel behind it for a gold. I tend to be more generous in regional competitions because the wines are not up against wines from California or Europe. It’s all about New Jersey. The sweepstakes included a petit verdot, a riesling/vidal ice wine, chambourcin Port-style wine, a traminette-chardonnay, and a Niagara. They were the cream of the crop and all were above par. Even the Niagara was about as balanced and well made as I can imagine a Niagara being. A pediatrician who was a judge on my panel remarked the he didn’t smoke cigars, but would consider lighting one up just to enjoy with the Port. I resist the allure of ice wines at the end of a long day of tasting, but this one was very, very good and I think I scored it appropriately. The New Jersey wine industry has been around for a long time. But even for the six or seven year I’ve been paying attention, it has evolved fast and I look forward to its future. For those who love great wine, food, beer, and fun! The Long Island Wine & Food Festival will celebrate a world class wine region! A premier travel destination on the East End of Long Island, the North Fork delivers remarkable cuisine, boutique wineries, craft beer, and quaint accommodations. Festival guests have the opportunity to learn about local flavors, tastes, sights and smells of Long Island’s wine country. Meet local chefs. Enjoy local wines and fare. Experience the rural character of Long Island's North Fork. The three-day festival kicks off with an exclusive cocktail reception on June 25. On Saturday, June 26, be sure to keep your glass full while experiencing the wines, food, and activities that our wineries will offer. The festival culminates Sunday, June 27 with a Grand Tasting in the historic village of Greenport, a working seaport since the 18th century. Va La remains one of my favorite wineries on the East Coast. Their red wines taste like those from Barboursville, Bedell, or Heart & Hands Winery. In other words, it's quality stuff. Some of the best. Here's two well worth seeking out. The silk is a rosato-colored wine that offers a soft expression of their home vineyard. They hand harvest the grapes from both the mahogany and the cedar portions of the hill. The grapes are then given a slow, cold fermentation followed by a brief barrel period. It is a blend of Barbera, Corvina Veronese, Merlot, Petit Verdot, and Nebbiolo. At room temperature the wine resembles a Rhone red, and when served chilled the raspberry and blackberry flavors come front and center. A wonderful, deep rose'! This is one of their most successful wines, by achievement, by review, and by sales. This wine expresses the soils of the ‘mahogany’ area of the home vineyard. The wine made from these particular vines and is aged for approximately 3 years. 850 to 2,000 bottles are normally produced. Mahogany is a big, deep, dark, incredible dry red wine. Incredible. One of the best red wines made on the east coast. I'd stack it up against anything, bar none. A wonderful wine. Take the ride down to Gap, PA, and see what I'm talking about. WHAT exit is that bottle from? But after a weekend road trip exploring a handful of some of the state’s 40 or so wineries, I happily discovered that New Jersey is making vino that transcends the punch line to a tired Joe Piscopo joke. Far from turning out mass-produced plonk, a la Thunderbird, producers are growing quality estate-produced wines. So, where to begin? The state has two distinct growing regions roughly divided into the farmland of the north and the coastal region of the south. Still, wineries are haphazardly strewn about, making it difficult to pinpoint an obvious travel route. My trip involved traversing much of the rural farmland of central New Jersey (for help planning your trip, check out newjerseywines.com). MUSICAL CHAIRS ON LONG ISLAND WINE SCENE? 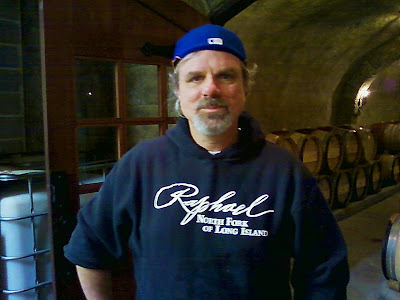 With the move of Richard Olsen-Harbich to Bedell, winemakers all over Long Island were surely buffing up their resumes this weekend. Possibly a few in the Finger Lakes and the Hudson Valley as well. No one is going to replace Rich. He was a one-man band as far as winemaking and setting the tone for the house. He is the equivalent of Johnny Unitas or Joe Montana as far as Long Island wine goes. The question is - is Raphael (without Olsen-Harbich) the 49ers or the Colts? The 49ers of course followed up with Steve Young and another Super Bowl and several NFC Championship appearances. The Colts didn’t get back to ultimate pinnacle in sports until Peyton Manning arrived (who was born after Unitas retired). But the answer is not clear. Who is the next Olsen-Harbich – that’s the $64,000 question? Harbich was a winemaker at the top of his game, who lead a team of his own choosing through some remarkable and innovative wines. 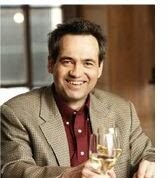 He was self-assured, extremely knowledgable, and knew the way the game was played in the wine business. He could speak the salesmen’s language as well as charm the press. Big shoes. So who then are some of the candidates? So many decisions. I guess, you prefer, it should be someone from Long Island, who knows the players, the landscape, and who is a known quantity. Or, you can take a look at the Finger Lakes wineries. Or someone from the Hudson Valley? Let’s start with Long Island. Firstly, does Olsen-Harbich’s move start the domino’s tumbling? It’s a good question. If they truly want to replace Olsen-Harbich’s true value, they would have to make a concerted play for either Roman Roth or Eric Fry. However, both are well ensconced (so, we thought, was Olsen-Harbich). They might have an opportunity with Roman, since the late Christian Wolffer isn’t there to fight a bidding war. But for the sake of argument, let’s say no to both. Where does that leave you? A few of the possible candidates, then. Miguel Martin of Palmer Vineyards. Experienced. Sure handed. Great European stylist, would fit right in stylistically. Be nice to see what he could do with the Raphael bankroll behind him. He’d probably be a solid person for the top five interviewees. Les Howard of Pindar Vineyards. Local boy makes good. Lacks the experience of Martin, but is well known throughout Long Island. He made an instant impact at Pindar. He’d be an interesting, long-term choice. With someone like Howard, Raphael might bring in some real star fire power consultant for the first few years. Gilles Martin of Sparkling Pointe and Sherwood House. Martin has tremendous background in wine. France. California. Long Island. And certainly would probably flourish given the opportunities at Raphael. It would be a chance for him to run his own show on a large canvas. Among the more intriguing possible candidates. Anyway, lots to think about. Lots to watch.